Founded: 1968, Acquired by EMC in 1999. Founders: Edson de Castro, Henry Burkhardt III, and Richard Sogge of Digital Equipment (DEC), and Herbert Richman of Fairchild Semiconductor. Specialty: One of the first Minicomputer companies in the 1960's. 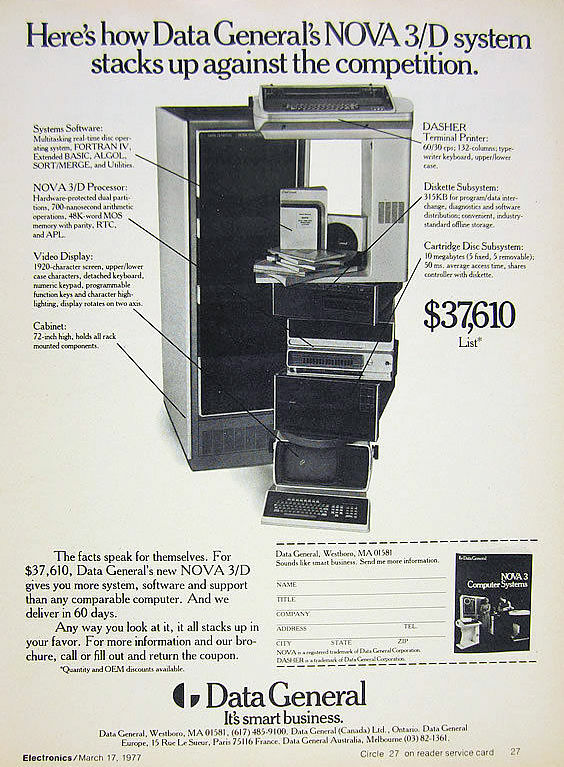 Produced the NOVA, microNOVA, SuperNOVA & Eclipse models of 16-bit & 32-bit minicomputers, Data General-one portable computers, and "Desktop Generation" line of PC's. Competed with DEC, HP & IBM. 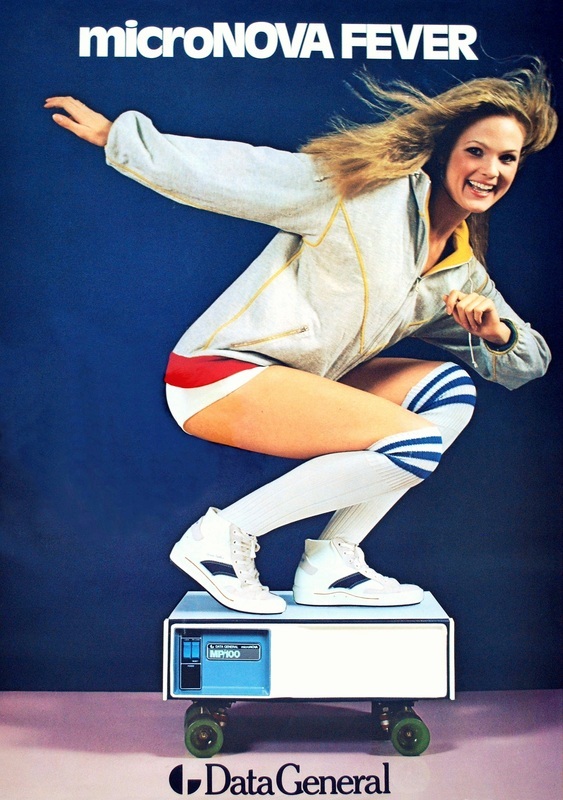 Besides producing minicomputers through-out the 1970's, Data General also produced a line of "Desktop Generation" computers starting in 1983. 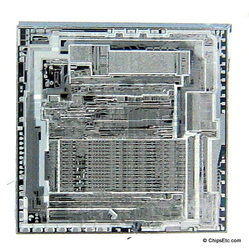 The first of the "Eclipse" series of computers was the Model DG10 which had dual microprocessors: a Data General "microEclipse" microprocessor, and an Intel 8086 processor which was made available to Data General in a cross patented licensing agreement with Intel. The model 10 was uniquely capable of running DOS (RDOS & MS-DOS) or CP/M-86 at the same time as Data General's AOS (MP/AOS-SU) operating system. 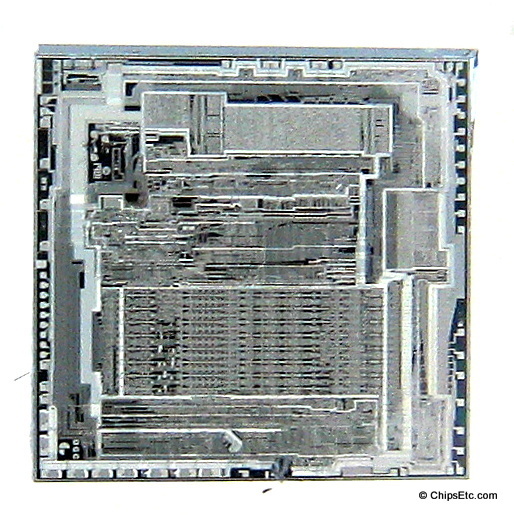 The Intel processor was responsible for running CP/M or MS-DOS, while the Data General microEclipse processor ran the AOS, RDOS or MP/AOS-SU operating systems. 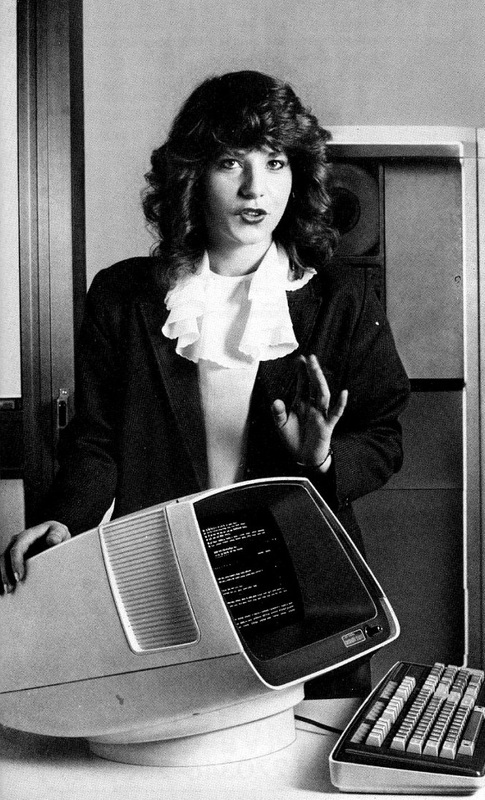 Other models of the "Eclipse" Desktop Generation line included the DG20 and DG30 which were designed to compete with the IBM PC XT for the commercial business market and were based around Data General's micro Eclipse line of CPU's. 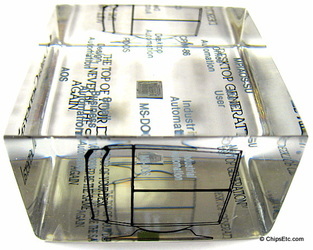 This Lucite paperweight from Data General contains an actual microEclipse Microprocessor. 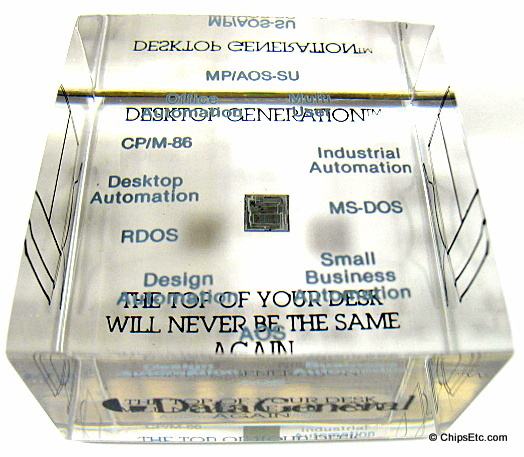 Item reads: "Desktop Generation / The top of your desk will never be the same".